Only a few weeks ago DeepMind, the artificial-intelligence company owned by Alphabet, which forms part of the Google group, shared some interesting results in Science journal. AlphaZero, a self-learning algorithm, “displays a breed of intellect that humans have not seen before” says Steven Strogatz, professor of mathematics at Cornell, in The New York Times. What are the properties of this intellect? It has insight, it understands the game. Contrary to its predecessor, Stockfish, the reigning computer world champion of chess which famously beat Kasparov, AlphaZero hasn’t been pre-programmed with a massive amount of expert chess moves – it is truly self-learning. And the properties which enabled AlphaZero to win thousands of chess games over Stockfish, not losing a single one, are intuition and selective attention – knowing what to think about and what not to. Experts say, “It plays “beautifully and intuitively and with the finesse of a virtuoso”. It’s even called “romantic”.So, if you stop to think for a moment – how come this fascination and how come this is defined as a breed of intellect never seen before? I think it’s because it’s human. Human qualities witnessed in, and surely projected onto, a non-human entity where these can be safely studied, because we cannot see, accept or fully comprehend these qualities in ourselves. And probably not in our colleagues, let alone in leaders of the world today. Kasparov wrote in a commentary accompanying the Science article that AlphaZero “reflects the truth” about the game rather than “the priorities and prejudices of programmers”. Priorities and prejudices about leadership capabilities and their aggressive application have been repeated ad nauseam and have dominated the leadership discourse for such a long time that attention for the intellect that actually understands what moves the game forward in depth – attention, attunement, beauty, energy – have been sidelined. But, Artificial Intelligence, along with fast-paced environmental, financial, and demographic shifts create a new context, to which leaders can only adapt through an alternate way of thinking and perceiving. Quantum leadership is the new breed of leading. It is based thoroughly on consciousness and awareness of interconnectivity as the baseline. Everywhere that consciousness is “an intrinsic, fundamental property of reality”. Consciousness grows differently from talent development. Quantum leadership therefore asks you not to play a game by its rules but to embrace your individuality and dive deep into your own presence. It entails inner work. It is founded in practices including sitting still, quiet observation, spending time in solitude, and tuning into the energy of the space in which people operate with clarity. Only this way can you create meaning in the relationships that already exist as a given. To deepen your knowing of all living things, animals, nature, and the elements you naturally need to communicate with them and experience its workings on you. Airole in the North of Italy is one of the most conducive places for gaining such experiential knowledge. 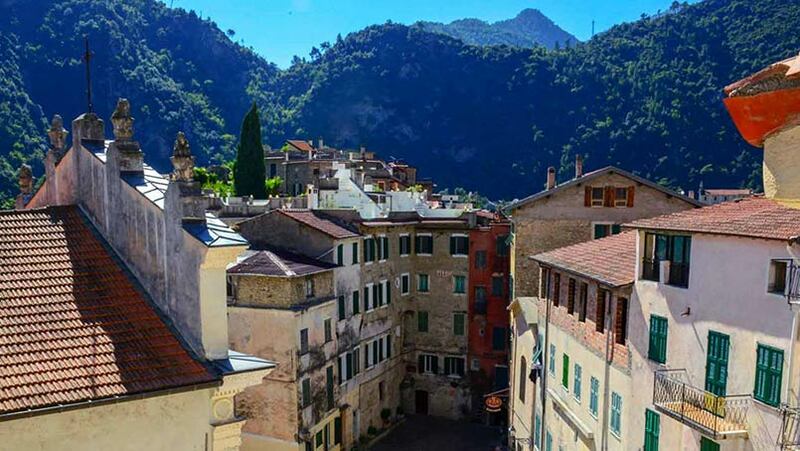 Nestled between traditional wine growing hilltops, the river Roya and the sea, this medieval village with its characteristic concentric circular structure, narrow streets and central piazza with the 12th- century Romanesque church create the ideal setting for finding the truth of the game. Awareness of Living is an individually tailored, 48 hours full-immersion retreat that offers you the opportunity to discover untapped inner resources ready to be fully employed as you move on to the next level of leadership performance. It invites you to hit pause on your familiar ego, renew connections with your higher Self, gain mental and emotional confidence, and anchor your embodied gravitas in your core values. This retreat draws on my latest leadership book, Dream of Love, which is a novel about getting to know yourself through relatedness and the power of love in relationship. As the old programmatic and prescriptive leadership theories decline, we need fiction to come closer to a more profound truth, a sense of meaning that cannot be reached by talking about it but by experience. Leadership: A Personal Matter is a small group retreat for executive women. In this we will work with the principles of analytical psychology for expansion of consciousness through shadow integration. What habits of mind do I want to transform? How? In Purgatory, the second part of The Divine Comedy, Dante Alighieri describes a journey through polarities of the shadow – the 7 sins and virtues – towards a balanced, free and big life. Pre-reading for this retreat will be the second edition of my Female Leadership book, which Routledge will publish later this year.